Do your kids love anything related to science or technology? I love finding STEM gifts for kids that are not only entertaining tech gifts but that also provide fun ways for my kids to learn and experiment. 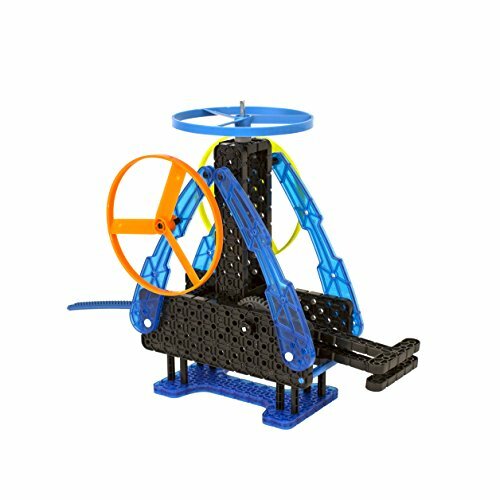 My teenage boys (and tween girl) have a blast playing with these STEM toys and STEM games. And, best of all, they’re learning about math and science while playing with these cool tech gifts (shhh… don’t tell them!). 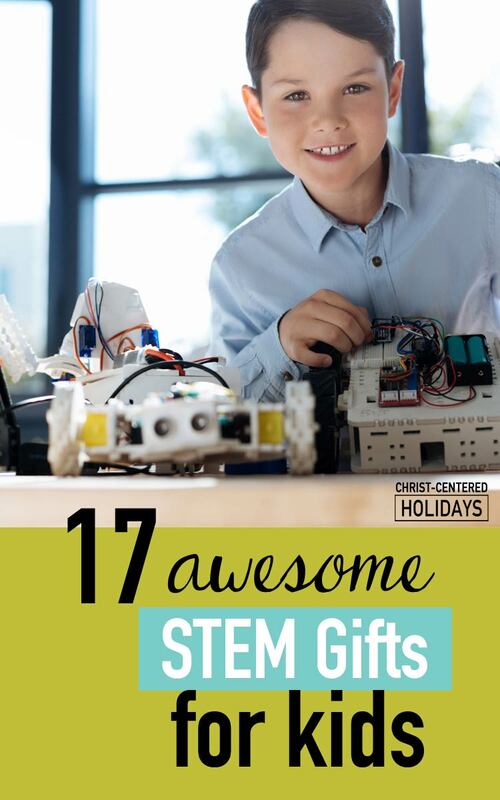 These STEM gifts for kids are top-rated (most of them have 5 stars on Amazon). If you’re looking for great gifts for kids (whether for Christmas, birthday or anytime) you can be sure that these top tech gifts will be a big hit with your kids too! Want a exciting toy that kids can put together and then play with? 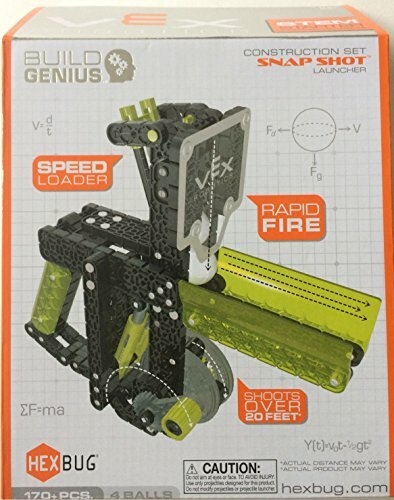 If so, then you’ll love this VEX Robotics Snap Shot Construction Kit. My boys loved the challenge of putting together their own blaster (and then of course firing at each other)! Open construction with snap-together pieces allows for a glimpse at the planetary gears and real working shock-absorber-style springs. As kids assemble the VEX Robotics Snap Shot, they learn how simple gear ratios and spring energy combine to create a one-of-a-kind blaster. And they can watch the ammo (plastic balls, included in the kit) drop down and secure into position. Very cool! Kids are fascinated by anything that flies. And they love to figure things out and put things together. So it’s no wonder that the VEX Robotics Zip Flyer Construction Kit was such a hit in my home. 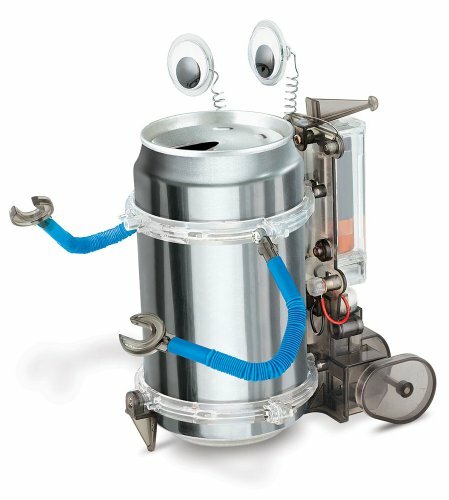 This robotic gadget actually had all of us quite entertained! Once kids assemble this flyer, they love how this robotic gadget lets you shoot propellers over 30 feet in the air! In fact, I had to have my kids take it outside because it was too tall for our vaulted ceilings. What’s really fun is that kids can control how high the propeller goes: the faster you pull the zip-cord stick, the higher the propeller goes. Kids can also configure the kit to be used for both handheld and tabletop action. Highly recommend! Wow! Kids can make their own computer! Amazing! Teach kids coding through using simple steps and stories. I love how kids can code music, apps, games and more, and there’s no technical skills required. Designed for kids ages 6 and up. These are wonderful, hands-on science kits for kids ages 8+ with simple instructions. Kids create a working crab robot, a working tin can robot and a solar rover! Buy one or get all three. 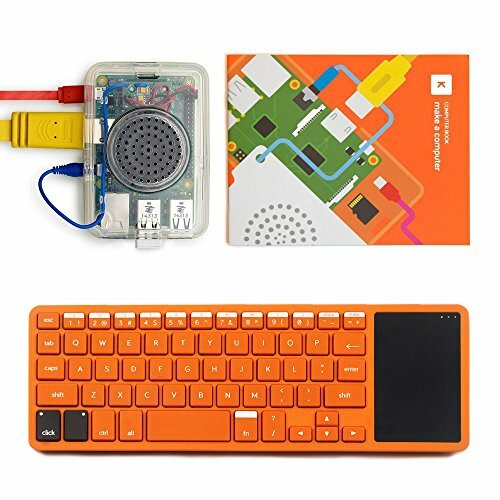 Cool STEM toy for any tech-loving kid! If your kids are Star Wars fans and love tech gifts, this is the perfect gift. This programmable BB-8 Star Wars Robot listens and responds to your child’s voice. 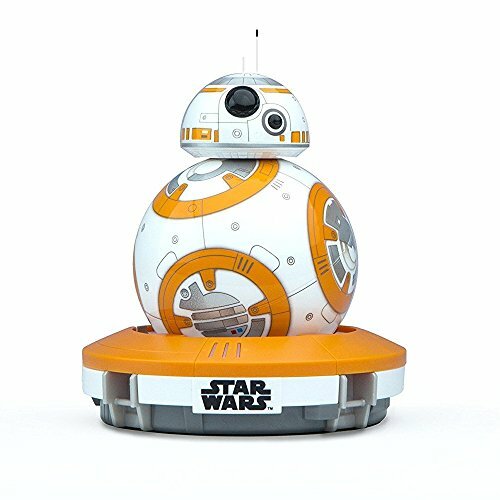 Guide BB-8 with your smartphone or tablet and record or view virtual holographic videos. 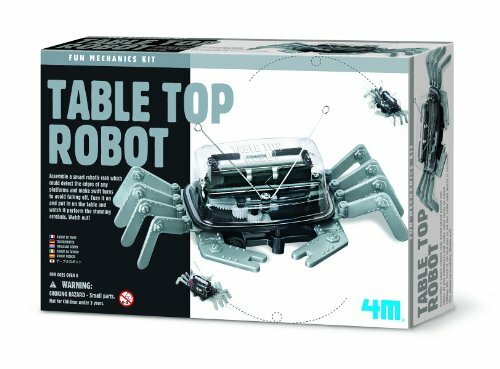 And with over 2,300 reviews and almost 5 stars on Amazon, it seems that this is quite a popular STEM gift for kids. What a perfect STEM gift for Minecraft Lovers. I love how this game teaches logic through fun learning. 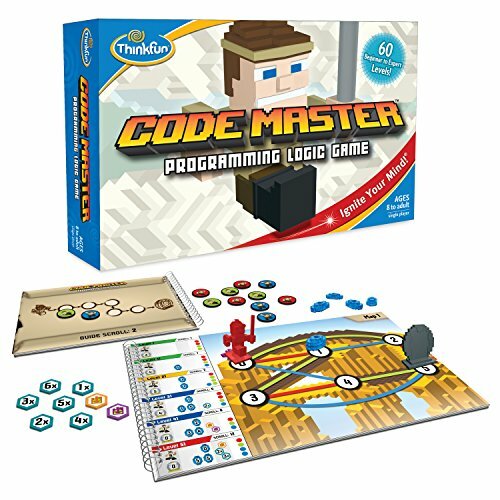 Code Master is a fun game that builds planning, sequential reasoning and problem-solving skills in kids. Incredible coding game that’s the ultimate gift for techie kids. 5 Stars on Amazon! 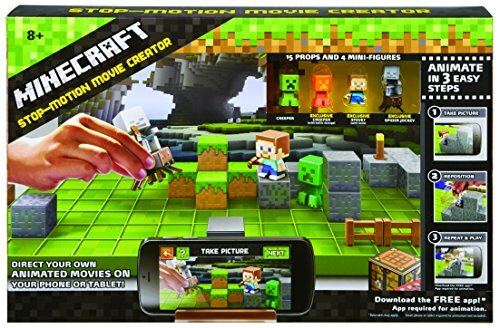 Kids build different scenes using the kit’s Minecraft pieces and take pictures of the scenes in a stop-animation-style on their phone. Then, using a special app, the stop-animation-style images are transformed to a movie. Such a fun idea if you’re looking for a fun STEM gift for kids (especially if you’ve got a Minecraft lover). #1 seller on Amazon for Action & Toy Figure Accessories! Totally buying this for my kids this year! 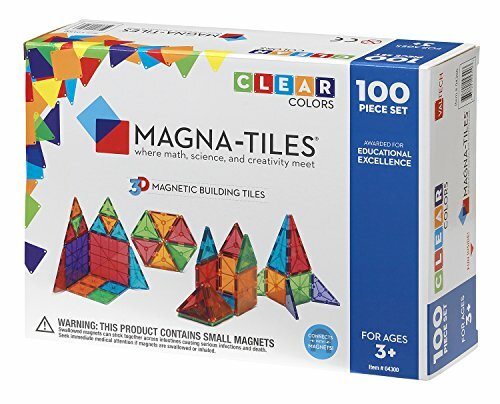 I love how you can create cubes, pyramids and other geometric shapes with these awesome clear tiles that kids love. What a great way to build spatial awareness and creativity with this awesome STEM gift for kids. 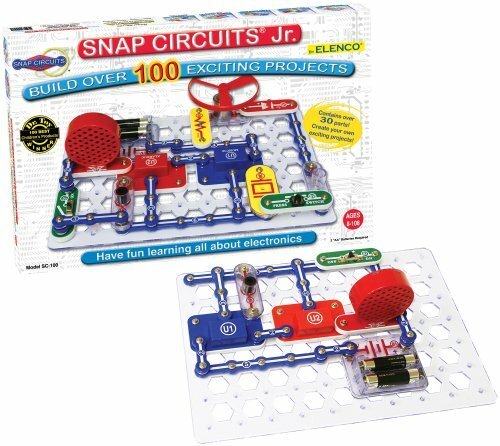 Snap Circuits provides an incredible introduction to electronics. 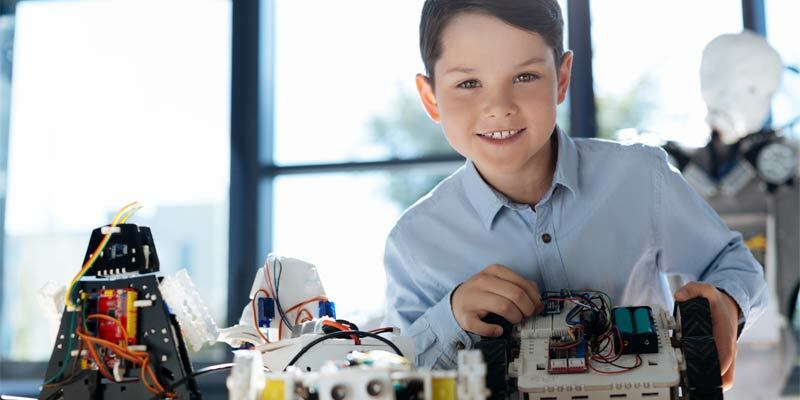 Kids build over 1,000 projects with these creative circuits. Simple, easy to use with no wires. My boys have hours of screen-free fun with these! 5 Stars, 4,500 reviews and winner of multiple toy awards! Don’t miss this! Kids use mirrors and other tools to direct laser beams through the maze. 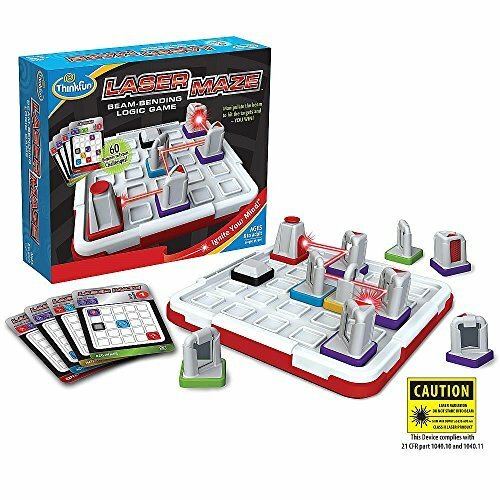 This awesome STEM game builds logic and reasoning. There’s 60 challenges from beginner to expert for kids to complete. Ages 8+. Perfect for techie loving kids. This is an Amazon top-rated game perfect for STEM loving kids. What a perfect gift for any kid that loves LEGO! 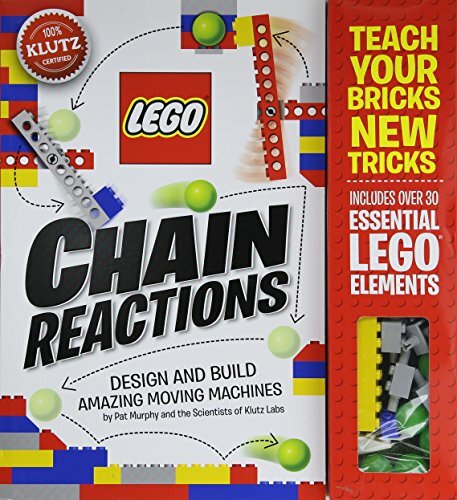 This is a great way for kids to learn about chain reactions, using their favorite plastic building pieces. Kids learn through play to design 10 amazing moving LEGO Machines. For kids 8+. Comes with an 80-page instruction booklet and more than 30 LEGO elements for hours of fun for kids. Amazing STEM gift for tech kids. Kid LEGO lovers will go crazy for this 5 Star, Best Selling Kit! Here’s another awesome STEM game for kids. Gravity Maze is an incredible marble run and logic game all in one. 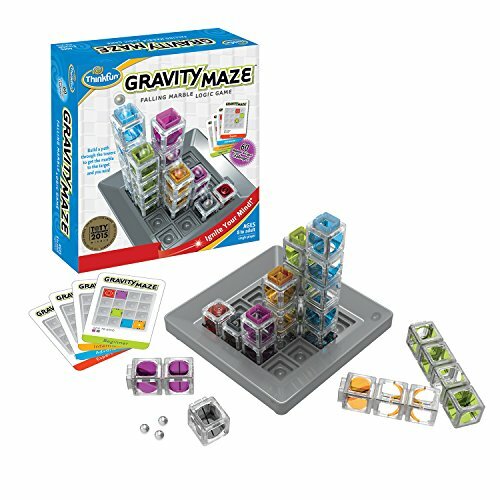 Kids learn both science and physics in this fun STEM board game. In addition, Gravity Maze builds spatial reasoning and planning skills. It’s hours of screen-free fun that kids love. Best selling game on Amazon! Great way for young scientists age 6+ to explore and learn. 20 piece kit includes supplies for fun STEM experiments to learn together. Perfect Christmas gift if you want to encourage your child to learn through fun play and experiments. 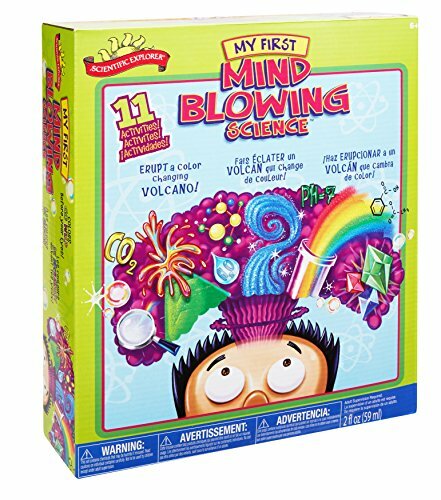 Don’t miss this perfect STEM science kit gift that makes it fun to learn and explore. 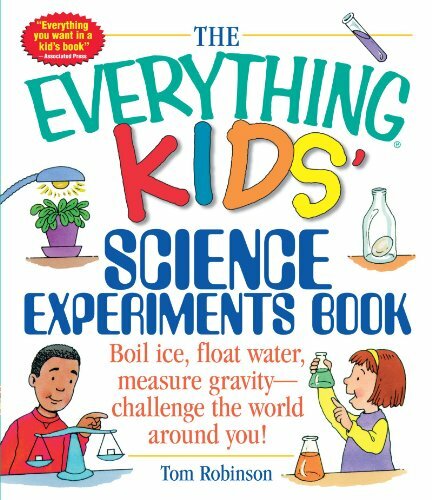 Kids discover answers to their top STEM science questions with this amazing, well-loved book. The book includes simple experiments with easy to find ingredients. Hours of screen-free fun together as kids explore and discover! This is the #1 selling kids science experiments book on Amazon. YES! Paper airplanes Star Wars style! You’ve got to see these! My boys have this book, and have a blast making these. I mean, how cool is it to create a X-Wing Fighter or the Millennium Falcon? Great fun! 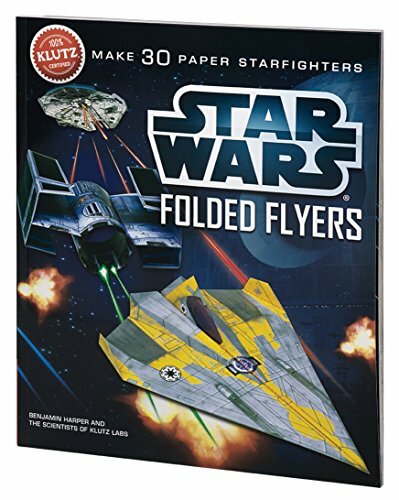 Your kids will love re-creating their favorite Star Wars fighters as paper airplanes. There’s hours of STEM learning fun as kids fold and measure in order to create the planes. Comes with 60 page instruction book and 40 pieces of paper. 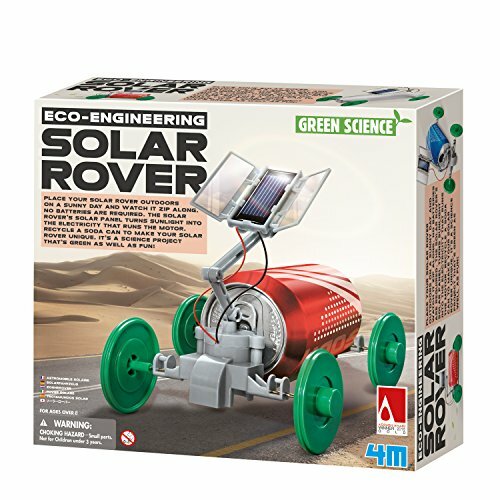 Amazing STEM gift for kids!